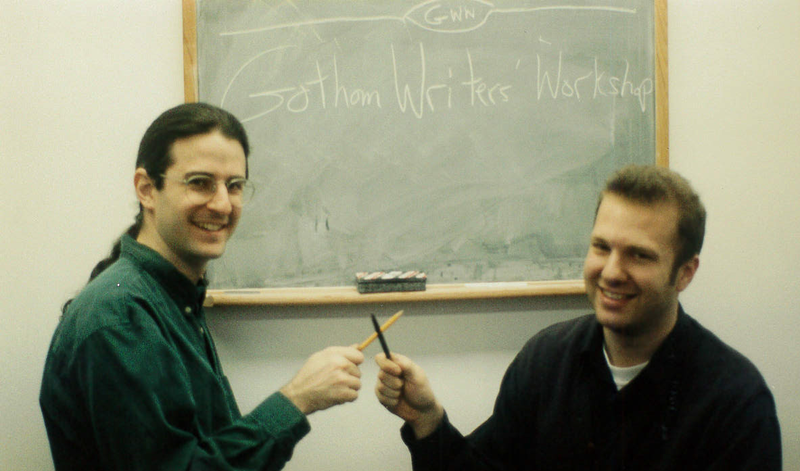 Established in 1993, Gotham soon became a New York City institution, then a virtual home to writers from almost every country in the world. So…who are we, and how did we get there? You’ll find those answers, and more, right here. Two enterprising young men begin teaching writing classes using rented space in a church. They do it really well, and soon there are too many students for the church, so they rent more space elsewhere and hire more teachers and the next thing you know they’ve got a school called Gotham Writers Workshop. We believe that everyone has a story to tell, and that anyone can learn to write better through practice and learning the craft. We demystify the writing process and give our students a safe and structured environment that encourages them to keep writing and keep expanding their ability. It’s not a magic formula, but it’s the best path to becoming a better writer, whether you’re new to this or an old pro. One of the reasons people take our classes is to achieve success in the writing world—getting their work published or produced. We’ve collected some letters from students telling us about their literary success and the role Gotham played in their story.